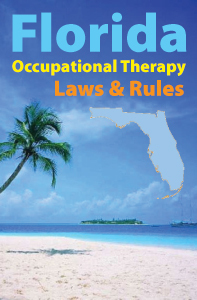 Florida Occupational Therapy Laws & Rules is a 2-hour online continuing education (CE/CEU) course that meets the license renewal requirement of Florida Occupational Therapists (OTs) and Occupational Therapy Assistants (OTAs). Professional Development Resources is an AOTA Approved Provider of continuing education (#3159). OT Content Focus – Professional Issues: Legal, Legislative, Regulatory, & Reimbursement Issues. This program is offered for 0.2 CEU’s. The assignment of AOTA CEU’s does not imply endorsement of specific course content, products, or clinical procedures by AOTA. Professional Development Resources is also approved by the Florida Board of OT Practice (#34) and is CE Broker compliant (all courses are reported within 1 week of completion). Florida-licensed occupational therapists (OTs) and occupational therapy assistants (OTAs) have an upcoming license renewal deadline of February 28, 2015. Professional Development Resources is an AOTA Approved Provider of continuing education (#3159). OT Content Focus – Professional Issues: Legal, Legislative, Regulatory, & Reimbursement Issues. This program is offered for 0.2 CEU’s. The assignment of AOTA CEU’s does not imply endorsement of specific course content, products, or clinical procedures by AOTA. 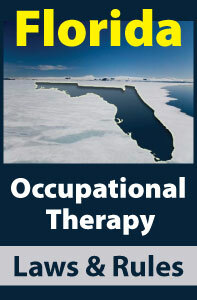 Professional Development Resources is also approved by the Florida Board of OT Practice (#34). Participant successfully completed the required assessment component for this activity. All course completions are reported to CE Broker within one week.